Perfect to snuggle round in all seasons. These traditional Indian kadai fire-bowls are made from recycled oil drums, hand-cut and riveted in the traditional way for strength and durability. Used in India for centuries as cooking bowls at weddings and festivals. 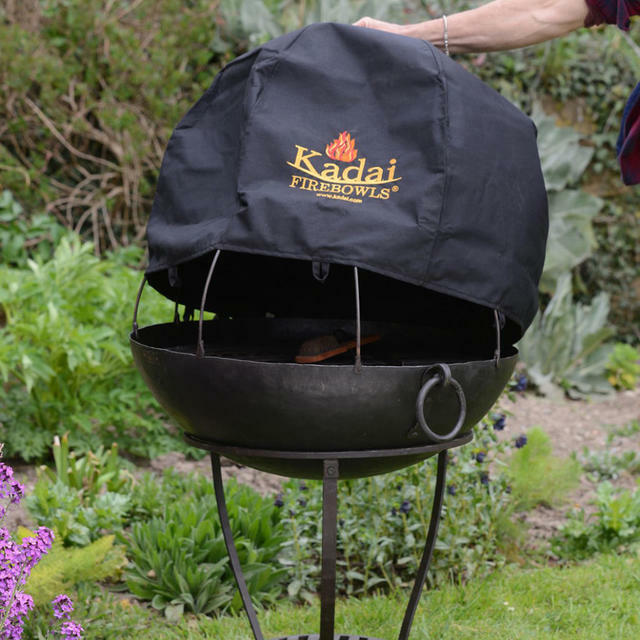 Our kadais are the perfect size for alfresco entertaining all year round, whether to cook on, or just to sit round on chilly evenings. 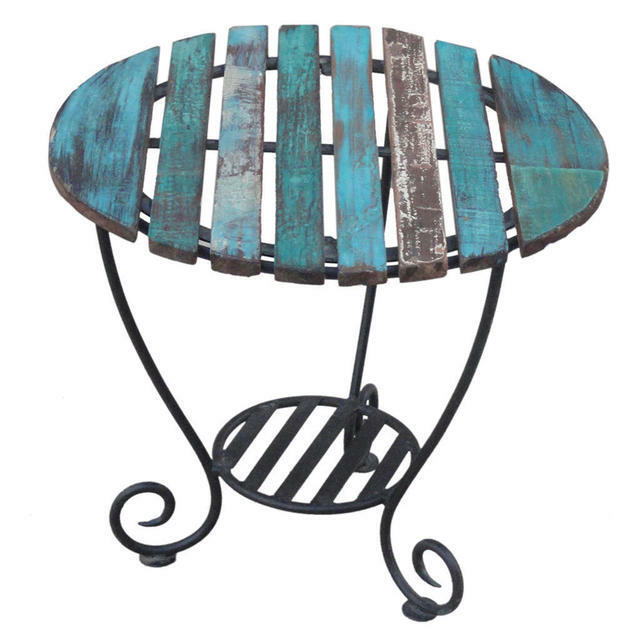 When the high base is not in use, a separate recycled wooden table top can be bought, to turn this stand into a gorgeous side table. 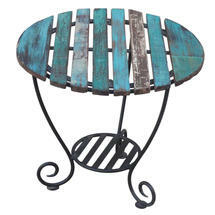 Please note the wooden top can be ordered separately but does not have a stand. 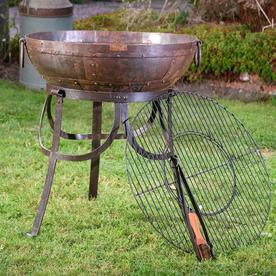 A Cooking Tripod and Bowl for cooking curries, chillis or even stir frying. 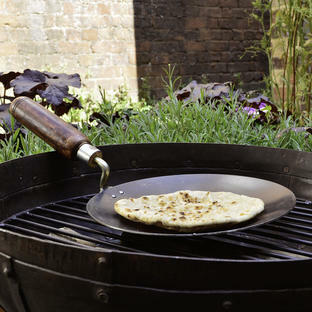 For flexible cooking try the cooking hot plate to pop over your kadai fire pit. 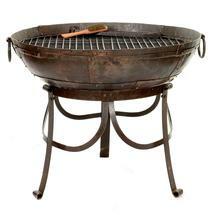 And there is a warming rack available to keep food warm whilst you are still cooking. 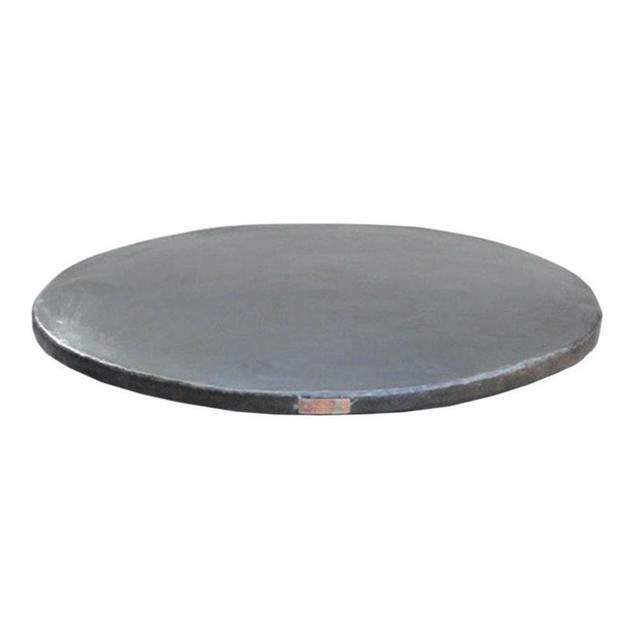 There is also a wonderful large paella pan available to order separately and also a set of 3 skillets pans to help you make the most of cooking on your Kadai. 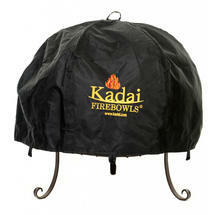 For pizza lovers there is also a pizza oven which sits inside the large kadais. 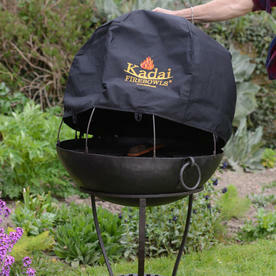 A travel size kadai is also available. 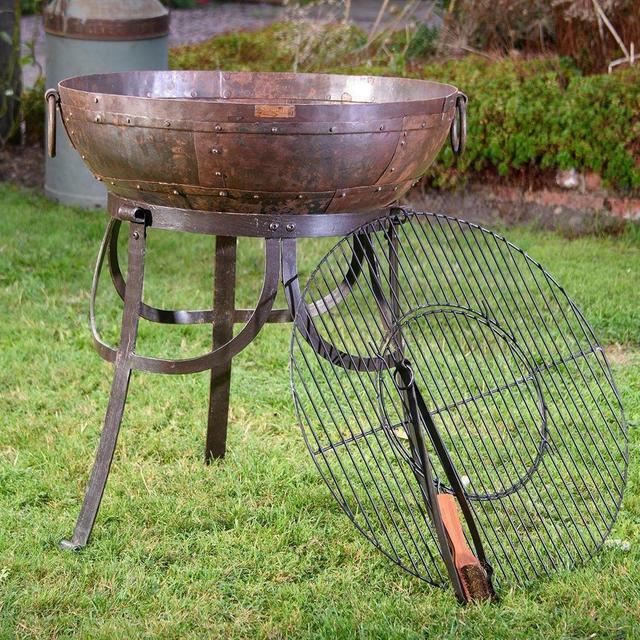 Both sizes of kadais are complete with 2 stands (a high one and a low one), a grill with a removable centre to allow you to stoke the fire, a set of tongs and a wire cleaning brush. 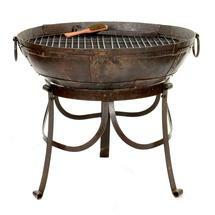 Use the lower stand for fire-pit height, and the higher stand to barbecue. The small stand is ready assembled, the taller stand needs some simple assembly. 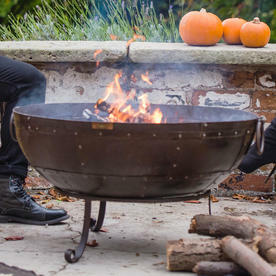 Always place your fire-bowl on a flat even surface. 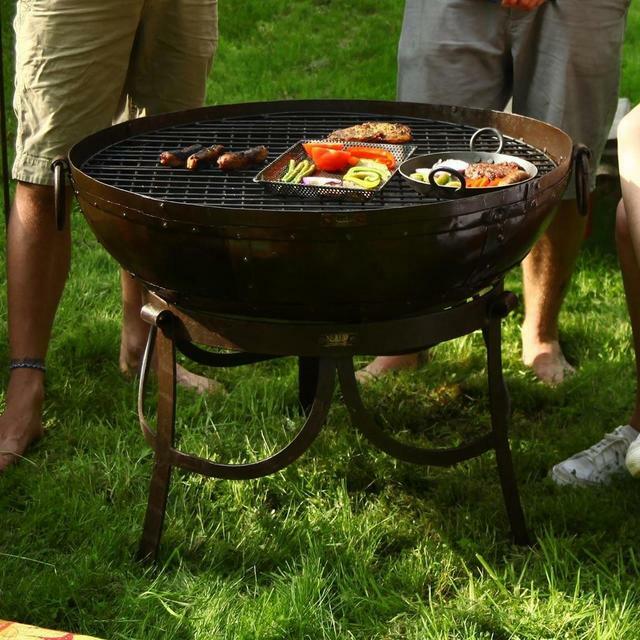 Before lighting your fire, cover the bottom of the bowl with 5cm with the Kadai beads. They will prolong the life of your bowl and make the Kadai easier to clean and help insulate the bowl and help prevent scorching. 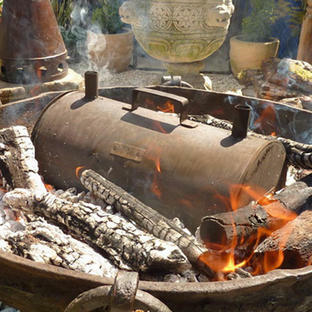 Also wood burns better on a these beads and it will also help retain the heat for longer. 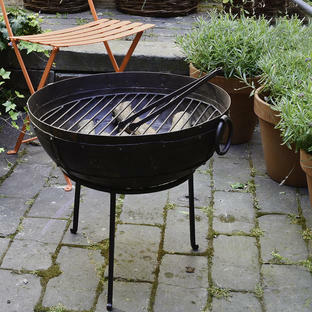 We also recommend oiling your fire-pit from time to time with vegetable oil, to keep it in good condition. 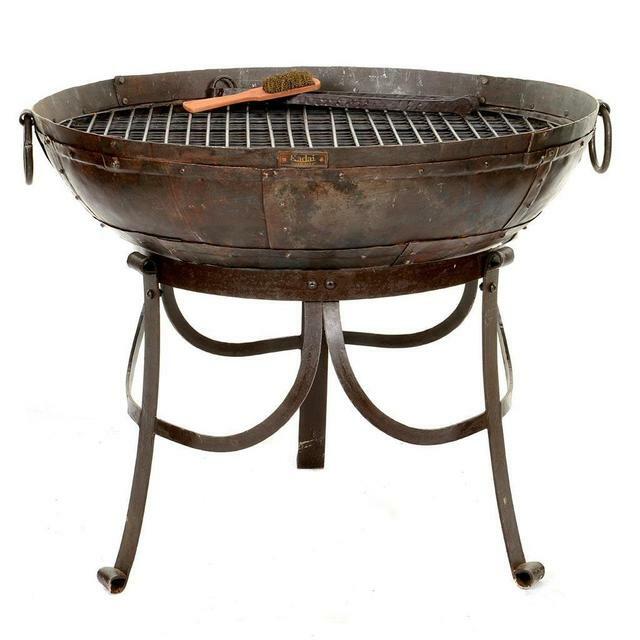 During use, the fire bowl will take on a natural rust finish, this is part of the character of the bowl. In the winter months, if the fire pits are not being used, we would recommend storing them inside.